After creating a stir in 2015 with a bold and noisy surf-rock sound showcased on the EP Laguna Babe, The Van T’s have made a swift return with their follow up EP A Coming of Age. Taking inspiration from band’s such as the B52’s, Veruca Salt, Smashing Pumpkins and Le Butcherettes, The Van T’s have created a contemporary, scuzz-filled record that also has an endearing raw quality pouring out from every note. Lead single ‘Blood Orange’ encapsulates the bands characteristics perfectly as electrifying guitar howls and echoes from the speakers, bridged beautifully by the twin sisters duel vocals, all neatly harnessed by the simple yet effective interplay between drums and bass. 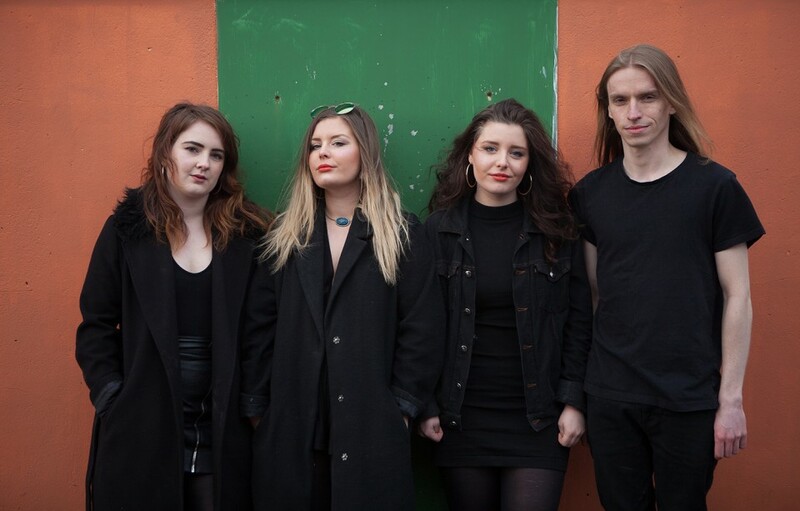 Despite the band being in its infancy, The Van T’s have already appeared at T in the Park, Wickerman, Electric Fields, Tenement Trail and Strange Behaviours as well as supporting Catholic Action and Honeyblood. This has seen them pick up support from Clash, The Scotsman, Beat Surrender, Backseat Mafia, BBC Radio Scotland, Amazing Radio and XFM Scotland. 2016 looks like it will be another hectic year for The Van T’s with appearances scheduled at Wide Days, Stag & Dagger and Brew at the Bog, a support slot with HAWK in London and culminating with two dates supporting the mighty Yuck. A Coming of Age by The Van T’s is released July 1st via Bloc+Music.